Sunday I shared a picture of all the goodies Tyler brought over from his grandparents house. I had already put the zucchini in the fridge before taking this picture but there was just as much zucchini as yellow squash. Talk about a LOT of squash! I have been trying to think of ways to use it up before we head out of town this weekend. Sunday I used a bunch of it making another batch of simple summer chili and then decided to make some zucchini bread. I wanted to try to make something that would taste good and yet still be okay to stuff my face with throughout the week leading up to our vacation. I had some coconut Chobani in the fridge from my trip to the grocery store earlier in the day and knew it needed to be a star ingredient with the zucchini. Grate the zucchini and let sit in a colander to drain out all the excess moisture. Preheat the oven to 325 F. Combine all dry ingredients in a large bowl. Then add in all the wet ingredients and stir until well combined. Place into a prepared bread pan and cook until the top has risen and a toothpick comes out clean. My cook time was 56 minutes. This isn’t your typical oil and sugar filled zucchini bread but I think its great for being refined sugar free. If you prefer your zucchini bread a little sweeter you could add some brown sugar. My favorite thing about this bread is that it has no added sugar or oil. The banana and greek yogurt each have sugar but there isn’t any added white sugar. The texture turned out really well! While I am no longer really eating gluten free I am still using all the gluten free flours I have and still enjoy making baked goods that those with gluten intolerance can eat. Do you like to continue to add and adjust recipes while you make them? I am the worst about not ever fully following a recipe and always adding a little of this and a little of that. Tips for foods to make with summer squash? I made a huge batch of chili, this bread and will probably be eating it sautéed every night with rice and mushrooms or eggs. 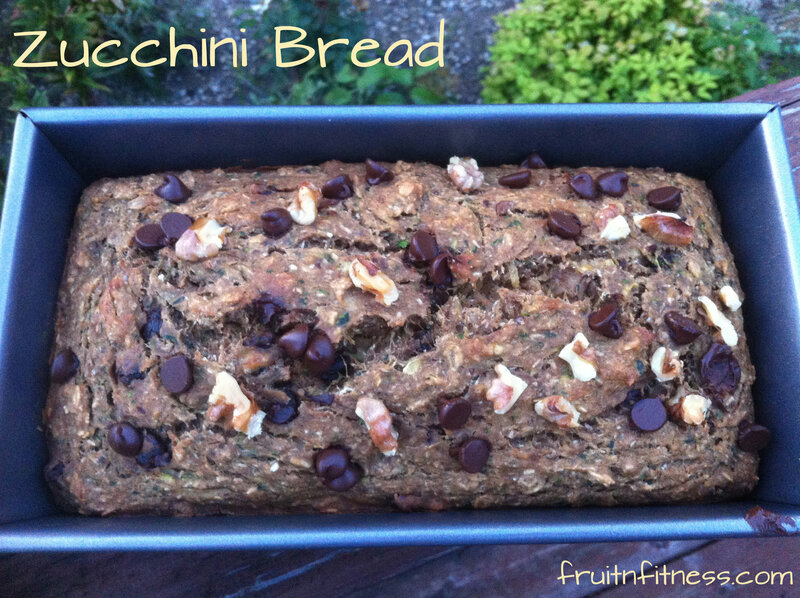 This entry was posted in Food and tagged breakfast, Gluten free, low sugar, zucchini bread. Bookmark the permalink. What is the measurement on the chocolate chips? What is 1.2? Thanks so much. I caught this zucchini bread over at the Lean Green Bean. Yummy! Thank you for the recipe! wait, how much zucchini? It isn’t included in the recipe. HELP! I just made this with 1 1/2 cups of shredded zucchini. Seems like it came out just fine (though this is my first time ever making zucchini bread). I just blanched a bunch of sliced yellow squash and zucchini to put in the freezer, but I still have a couple yellow squash and one large zucchini to use. Can I use whole wheat four instead of the rice flour? I’m sure whole wheat flour would work! The bread looks delicious! I also can’t wait to try the summer chili! i am a huge fan of chili all year round! I love how versatile chili is and all the different ways you can change it up! This summer chili is one of my favorites. I bet you ate that in 5 seconds flat. Oh wait, no, you’re not a human vacuum like me? LOL! Whenever I have an abundance of squash, I slice it up and freeze it to throw into dishes later. I love using it all year round! You should freeze some! I don’t know why I hadn’t thought to freeze it. I freeze a lot of cooked meals for later so it would be a great idea to do with squash too! Looks like awesome zucchini bread! I recently discovered that the boyfriend actually really likes zucchini so I’ve been buying a lot of it lately…usually I just roast it, but my brother was telling me about how he usually makes zucchini boats with them – might be worth hunting for a recipe for! I made zucchini boats with rice, corn, edamame and cheese. They were soo good! I have been looking for coconut Chobani everywhere and I can’t find it! Darn it! But it sounds deeelish in this bread! I love that you didn’t use any sugar too. I’m like you and like to add/leave out things as I go. That’s the beauty of cooking, you can tailor it to your liking! I know I think that’s why cooking is so much fun! YUM! Never thought about adding the coconut flavored Chobani to breads. Definitely trying this one out, thanks for sharing! I love the new coconut chobani so ill probably finding lots of baked goods to use it for. I loveee adjusting and adding to recipes! The more I can add the better! This bread looks soooo gooood. wowzers! that sounds delicious! 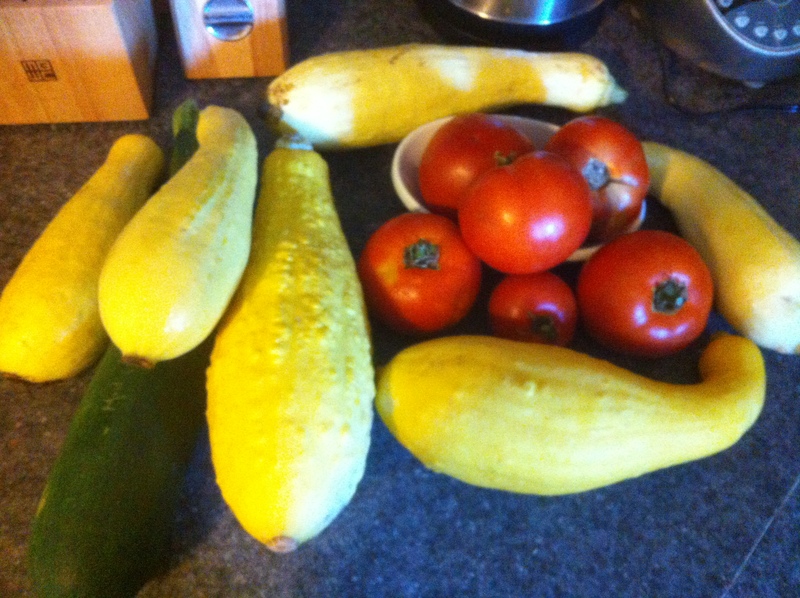 That’s so awesome to get all that squash & zucchini. One my favorite ways to use zucchini is slicing it in medium thick long layers (pat dry) and use them as lasagna noodles instead of pasta!! Oh lasagna zucchini sounds good. I saw beautifully nutty post about a zucchini pasta and thought it was a great idea. As someone who has to eat gluten free and has tons of zucchini in the house, thank you!! Why were you eating gluten free and why not anymore? Just curious. I will leave the coconut out and hope it turns out. great recipe. I thought it would help with my stomach problems. In the month I did gluten free I didn’t see much improvement so now I eat it again. I might not have given it enough time but it is easier to eat out when not worrying about gluten. I agree about eating out being easier when not gluten free. Does this recipe call for 1 1/2 cups of chocolate chips?? I will have to give this a try since my bf’s mom keeps giving me zucchinis and I have no idea what to do with them. I never follow recipes exactly. I always like to put in some new flavors! I’m really horrible at following recipes… probably because I’ve been baking for so long now that I usually just prefer coming up with my own. And I have to say that that is a LOT of squash 😯 I wish I could offer some good ideas on how to use it up, but summer squash are some of the few veggies that I don’t like, so I really have no idea what to do with them. I used to not be a big fan of summer squash but now I like it. I took some to work today, needed to share. Yum! I love zucchini bread! We made this recipe last week with yellow squash: http://www.thekitchn.com/recipe-potato-squash-and-goat-90647 It was SO good! I never ever follow a recipe down to the exact! I love playing around and experimenting with the flavors. I just use recipes as guides, but like to take my own journey in the kitchen! And I love summer squash simply steamed with some onions, garlic, and whatever spices and herbs I am feeling that day! I think banana and zucchini breads are usually pretty easy fail proof recipes. chocolate chips, coconut flakes, & walnuts.. ah so many good addins!! Oh yes, more garlic happens a lot. Thanks for this idea! I had so many zucchini last year and I think people got sick of me giving them away as they too had run out of ideas. There’s only so many zucchini muffins you can make, and so much you can add to a burger patty. Cheers! Hello! 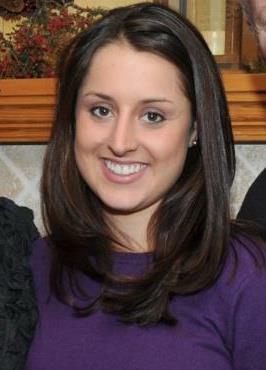 I'm Nicole and i'm a 24 year old graduate student living in Lexington, Kentucky. I love eating, exercising, my goldendoodle Bentley and traveling. Follow me as I blog about food, fitness, travel and healthy living.